Marvel has announced that former Game of Thrones actor Iwan Rheon is set to star in the upcoming series Marvel’s Inhumans. 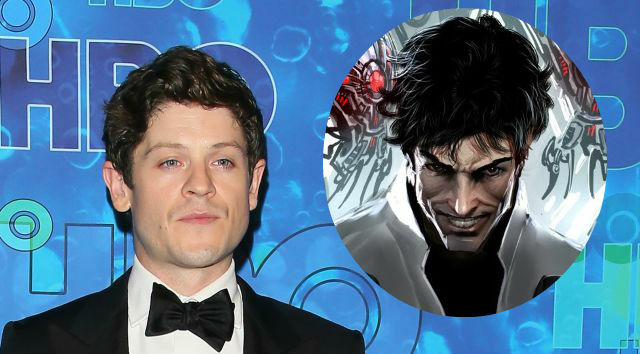 Rheon will play the role of Maximus, brother of the Inhuman King, Black Bolt, who is capable of mind control. In the series, Maximus is a clever and charming Inhuman that is fiercely devoted to the people of Attilan, especially his brother, the King – although he harbors an intense desire to wear the crown himself. “Iwan’s ability to be charming, roguish and still completely unexpectedly dangerous were all the different sides we needed to bring the character to life. We’re thrilled to have him on board,” said Jeph Loeb, Head of Marvel Television and executive producer. Filmmaker Roel Reiné is set to helm the two-part pilot for Marvel’s Inhumans which will be filmed entirely with IMAX digital cameras, and run worldwide exclusively in IMAX for two weeks at the beginning of September 2017. ABC plans to then premiere the weekly series this fall, offering additional exclusive content that can only be seen on the network. The Inhumans, a race of superhumans with diverse and singularly unique powers, were first introduced in Marvel Comics by Stan Lee and Jack Kirby in 1965. Since that time, they have grown in prominence and become some of the most popular and iconic characters in the Marvel Universe.